In 2013, the landscape of college basketball changed as the original Big East Conference was no more. The Syracuse Orange and Pittsburgh Panthers were at the front of the exodus when they looked for “greener” pastures in the Atlantic Coast Conference as these schools were chasing more football revenue. With it apparent that it was every school for itself, the seven non-football schools of the Big East decided to join forces, maintain the conference name, and add three more non-football schools to the mix as they were seeking to form a formidable basketball league. One school that decided to take the bull by the horns in regards to this venture were the Villanova Wildcats. Villanova has a long and storied basketball history which includes their epic upset of the Georgetown Hoyas to win the national championship in 1985. 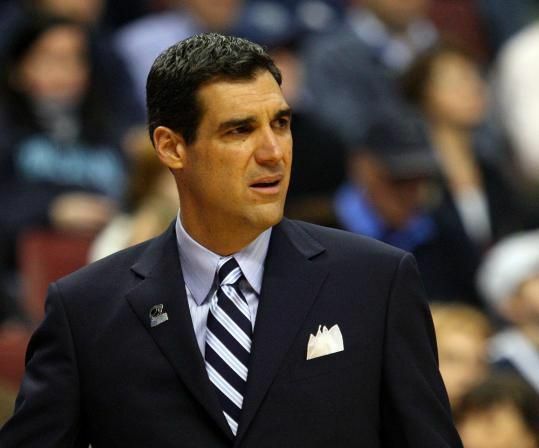 Under current head basketball coach Jay Wright, Villanova has continued to have a solid basketball program as from 2005-2013, they made eight trips to the NCAA Tournament which included a trip to the Final Four in 2009. But since the likes of Syracuse and Pitt, along with the Connecticut Huskies and Louisville Cardinals left the Big East in 2013, Wright’s Wildcats have gone on to become a national power, while they’ve carried the conference’s banner. In the last five years, ‘Nova has won the regular season crown in the Big East four times, while they’ve never been lower than a second seed in the NCAA Tournament. Villanova has dealt with their fare share of skeptics as three of the last five years have seen them eliminated from the NCAA Tournament in the second round; however the two other occasions became legendary for them. In 2016, Villanova was able to overcome their second round hiccups to reach the Final Four for the second time under Wright. And after the Wildcats disposed of the Oklahoma Sooners in the national semifinal, they once again shocked the college basketball world to win the national title. But this time it was one of the blue bloods of the sports as the North Carolina Tar Heels would succumb to Villanova. The second round of the NCAA Tournament would once again prove to be troublesome for Villanova last year when they fell to the Wisconsin Badgers, but they entered this year’s tourney with a renewed spirit. In the first two rounds of the tournament,’Nova won their games by an average of 24.5 points. And then when the East Regional Semifinal rolled around, Villanova was tested against their former conference foes in the West Virginia Mountaineers, but they had enough to pull away in the second half to win 90-78. In the East Regional Final, the Wildcats would meet their second consecutive opponent from the Big 12 Conference in the Texas Tech Red Raiders. Tech would get out to an early 9-1 lead, but Villanova’s resilience would be on full display as they roared back to take the lead as they went into the half leading 36-23. The Wildcats would then absorb everything that Texas Tech would throw at them in the second half to win 71-59 and advance to the Final Four for the second time in three years. In the national semifinal, Villanova met the Kansas Jayhawks who like them were the top seed in their region. However the much anticipated battle of two top-five teams would become one-sided rather quickly as Villanova began the game on a 22-4 run which put Kansas in a hole that they would never recover from as they fell 95-79. 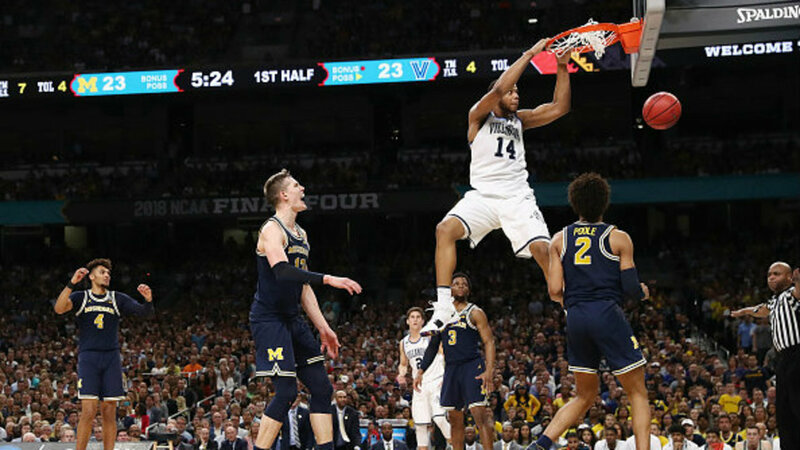 And when it came time for the national title game this past Monday night, the Michigan Wolverines were game, but Villanova simply would not be denied as they would win 79-62 to secure their second national title in the last three years. What set Villanova apart from their opponents during this title run was their ability to score and do it in bunches as well as the versatility that they possessed to get the job done. The Wildcats beat teams with their defense which led to fast break opportunities as well as their long range shooting which was on full display against Kansas as they knocked down 18, three-point shots to defeat the Jayhawks. And for the tournament, Villanova set a record as they knocked down 76 three-pointers. Wright has won two championships in the last three years due to the fact that he has one of the more unselfish teams in college basketball. No one player that suits up for Wright cares about his individual stats as it is more about the team. The prime example of this for ‘Nova is junior point guard Jalen Brunson who after winning a national title in 2016, while also being named as the National Player of the Year this season could have easily tried to take over when the Wildcats reached the Final Four. Against Kansas, Brunson went for 18 points and 6 assists while he only had 9 points to go with 2 assists versus Michigan. But the most important thing for Brunson was that he helped his teammates cut down the nets on Monday night. It’s fitting that the Tournament M.O.P. for Villanova would be sophomore guard Donte DiVincenzo who comes off of the bench for Wright, but in the title game he stole the show with 31 points, including 5 three-point shots. Wright’s team ball philosophy is something that would make the Golden State Warriors and San Antonio Spurs of the NBA very proud, while somewhere great former college basketball coaches such as Dean Smith and John Wooden are watching with awe. Wright is doing this in an era of college basketball where it’s all about recruiting the “one-and-done” player, but he doesn’t waver from his recruiting philosophies as he finds players that will fit his system, while they also went under the radar coming out of high school. However now Wright is getting the last laugh as he has gone from a head coach who couldn’t win the big game to now being in the discussion to be a Basketball Hall of Famer, while his program is on the rise. By winning two national titles in a three-year span, Wright won’t have to beg players to play for him as Villanova is now a household name. Wright can get any kid that he wants from the Philadelphia area to play for him, while his program has helped to show that the premature demise of the Big East was indeed false.